It’s all about what’s inside. TeraTron OEM Electronic Parts – added value for your products. As a specialist for OEM electronic solutions, we provide an all-inclusive package of development services, manufacture and support to many leading prestigious clients. Everything under one roof, made in Germany. 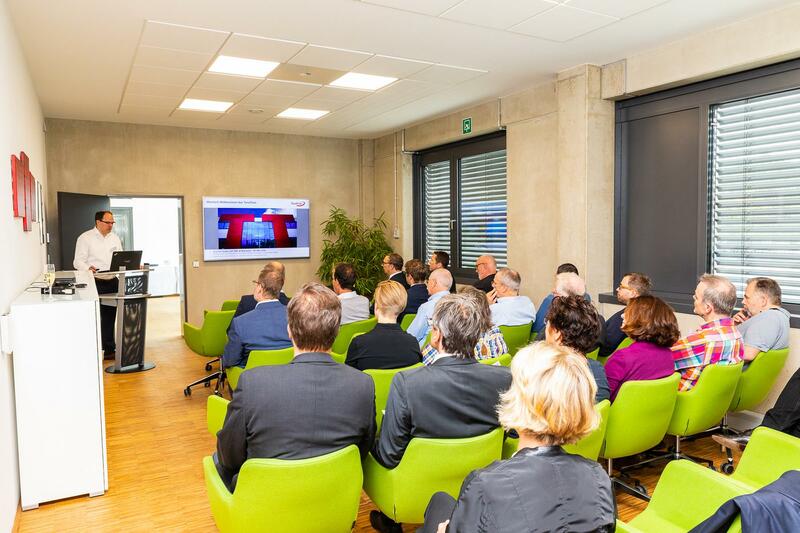 Founded in 1999, our head office in Gummersbach is a stone’s throw away from the technical university and now employs some 40 members of staff. We are certified to ISO 9001:2008 and the ATEX Directive 94/9/EC, and we act accordingly. Our operations already include physical access control, protection of persons and property, immobiliser technology, protective field systems, anti-theft protection and counterfeit checks, along with special applications such as key reading and writing modules in the automotive sector. But, of course, we always remain open to new challenges. Client satisfaction is vital for our existence. We inspire confidence with our top services. Sustainable and future-proof! We are owner-operated and make quick and reasoned decisions. Satisfied and skilled staff are the basis of our joint success. We are committed to helping you, our clients, with professionalism and performance. Our joint success is the product of working together as partners. Partnership means treating each other with mutual respect and fairness. Together, we make a successful team. Behind every solution, there is a motivated team of specialists. Great thinkers who are highly security-conscious, able to adapt to new tasks with speed. Our location near the university town of Gummersbach gives us a vital competitive edge when it comes to human resources. A stable and creative working environment motivates our dedicated staff and results in minimal employee turnover. Customised and intelligible solutions, put together from existing technology modules or developed individually to meet your particular needs. Direct client support from the product developers. In-house automated production, with state-of-the-art machinery for demonstrable production quality – TeraTron solutions impress our high-profile customers and form a reliable component in numerous large projects. In the age of the Internet of Things, it is increasingly important to work with reliable and secure technologies that can be easily integrated into a wide range of applications. Combining these technologies in useful ways gives your products crucial added value. Cutting-edge SMD assembly line with fully automated post-print visual inspection. ASM SIPLACE component placement systems, casting robots that dose the compound with millimetre precision – our equipment meets all expectations when it comes to state-of-the-art manufacturing. The entire production area meets all ESD (electrostatic discharge) requirements and is air-conditioned with humidity control. An ESD test is required before access to the production area can be granted. TeraTron has been certified to ISO 9001:2008 and ATEX and uses only lead-free solder in line with RoHS Directive 2002/95/EC. Each department has specific final inspectors for each product and all products are tested at a rate of 100%. Production planning and material flow are SAP-controlled. This enables us to achieve complete transparency across each component and each individual production assignment. We offer a highly variable range of manufacturing services to suit your needs, from PCBs to fully mounted products. The high-tech production is just one floor away from the development department. Short communication paths also apply here. The entire machinery stock is geared towards preventing error, with error rates that are verifiably the lowest. All environmental aspects are taken into account in the production structure. 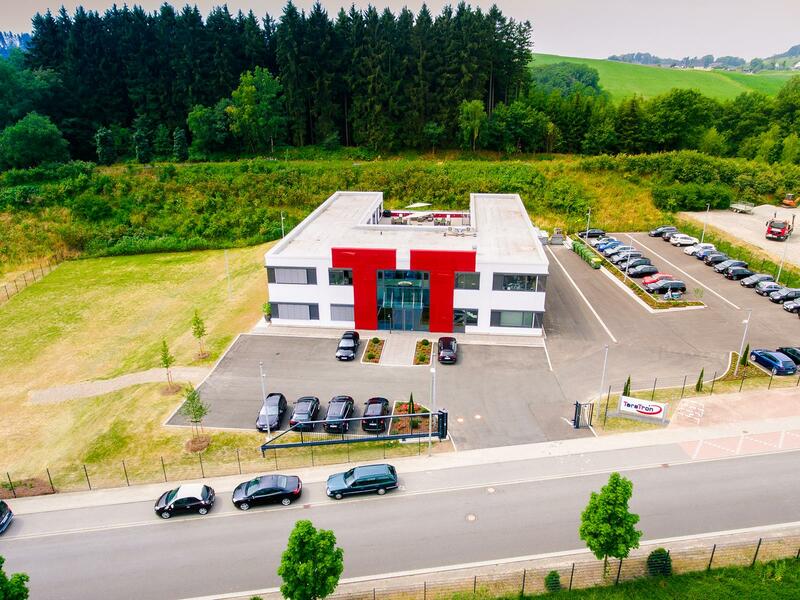 in July 2018 we celebrated the official inauguration of our new company building. In March 2018, we proudly moved into our new company building. Significantly more space, optimized workplace ergonomics and shorter paths in the redesigned production enable us to work even more effectively and flexibly. We are very optimistic about the future and have organic and healthy growth. To sustain this momentum, we are constructing a new company headquarters in Gummersbach, which is currently in the building shell phase. We plan to move into the new site before the end of 2017. Further information of the progress of the construction work is available in the "News" section. In 2016 we once again took part in Security in Essen, the world’s leading trade fair for security and fire protection. In 2015, we were named preferred supplier of the year by BOMAG. In 2014, we were named preferred supplier of the year by BOMAG. Our trade fair stand at Security 2014 in Essen. The world’s leading trade fair for security and fire protection. In 2012, we were named preferred supplier of the year by BOMAG. In 2008 we received ISO 9001:2008 certification. ATEX 94/9/EC certification was also received in 2008. 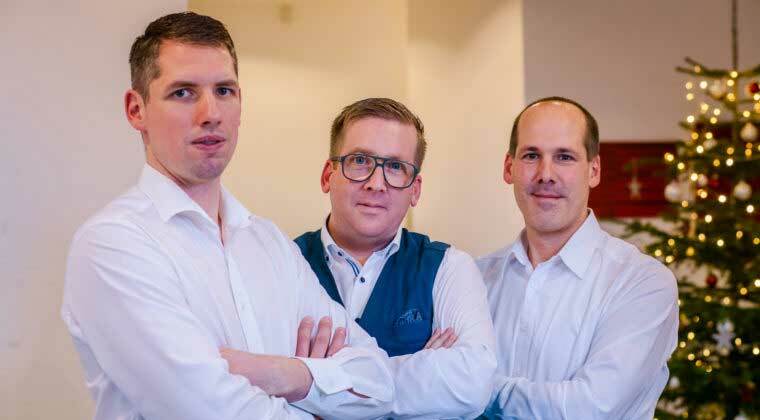 With the experience we had garnered over the previous years and the new options available to us, we decided to produce not “only” embedded software in Gummersbach, but also electronic modules. 2008 was the start of a new successful era for TeraTron in electronic manufacturing. Once we had very rapidly established ourselves in the segment of embedded software, our team grew very quickly and we relocated to a new headquarters in 2005. In 2003 we received the German Start-up Award from the Cologne Kreissparkasse and Sparkasse Gummersbach-Bergneustadt. In 1999 we launched with a small team, specialising in the development of embedded software.